This is the last day of this series. I hope you enjoyed this series and got some new ideas for make ahead items for your lunches. 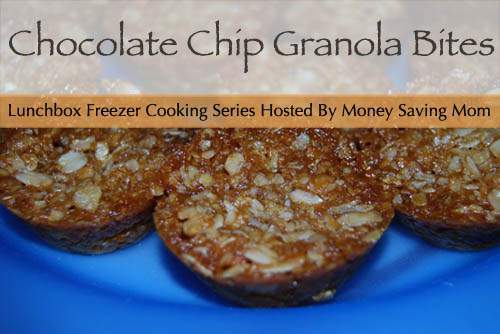 When Crystal at Money Saving Mom shared the link to Chocolate Chip Granola Bites, I knew I would have to give these a try. I like that the recipe is a stir and bake recipe. I asked the kids to help me mix them up. My daughter did help but my son ran off to do something else. We didn’t have any flax seed so I left that out of the recipe. I also only had Rice Krispies so I used them too. Sometimes you just have to substitute with what you have on hand and hope for the best. 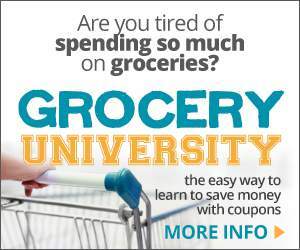 I hate to run out to the store for just one or two items. I stirred them up but noticed they were a little crumbly and dry so I added in a little more oil as the recipe said to do. I did not want them falling apart as I took them out of the muffin tins. I really pressed them into the muffin tin. I really wanted these to hold together well after baking. I think I left them in a little too long in the oven or my oven wasn’t holding the temperature very well as they were really brown when I took them out. I decided to let them cool and few minutes. 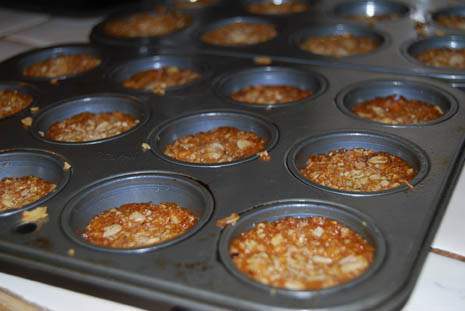 After cooling they popped right out of the muffin tins and held together nicely. Of course we had to give them a try right away as they look really good. Now I will have to warn you. 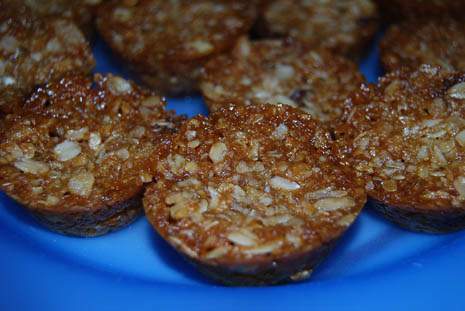 These little granola bites are really yummy and can be addictive. I ended up eating three of them right away they were so good. So I am thinking these are not going to last in our freezer very long. 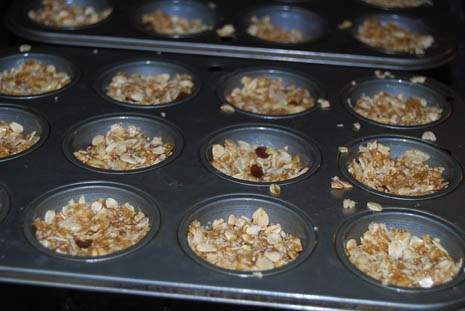 I usually keep all the ingredients needed for this recipe on hand in the pantry so these will be great to make when we are out of granola bars. My husband seemed to like them too as he ate three of them also. 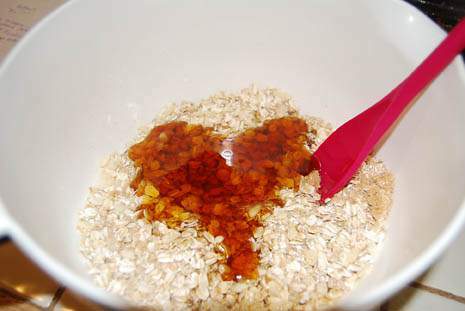 The honey ended up in the shape of a heart before I mixed it in. 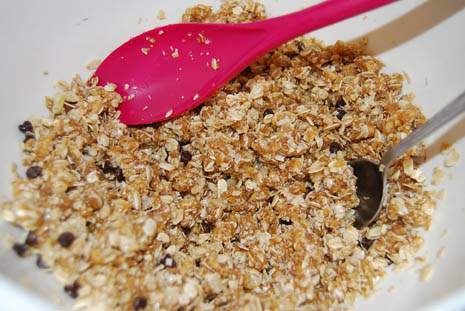 Does your family like granola bars? If they do you need to try this recipe.